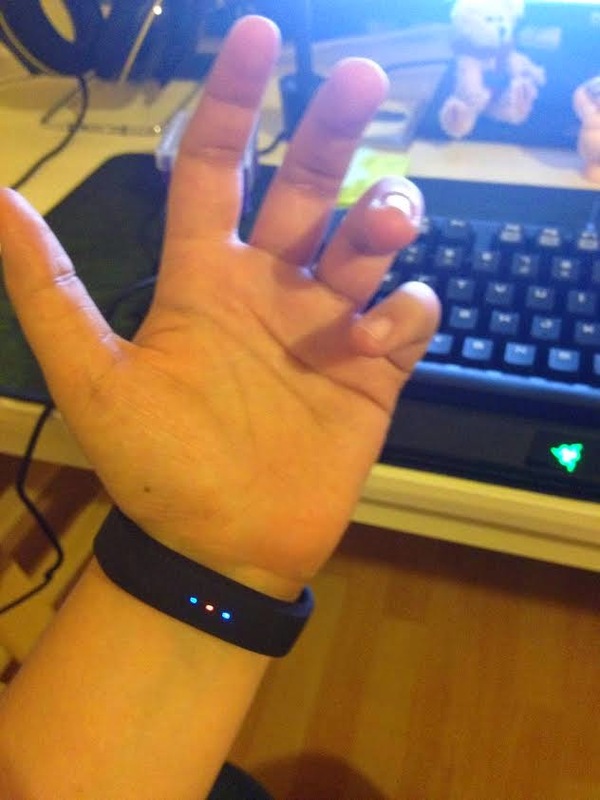 It's the first time I wear a smartband. I'm generally a skeptic of wearables 'cause like 3D TV, I think "they're not quite there yet". But I'm a techie at heart, so as soon as we learned of the 2x1 deal on the Razert Nabu X, Polaris and I had to buy it. Like the smartband newbies that we are, it took us few minues of manual reading (and halfway ditching) and downloading some of the apps (Utility, Fitness) to work our way around the mysterious device. Design-wise, the band is sleek as hell and the LED lighting is subtle and quite badass looking. I must admit that, during the first couple of hours, the vibrations on my wrist felt weird and caught me off guard a couple of times. But after a while (and tweaking the intensity of the vibrations) it felt comfortable and very natural. Overall the bands are working, though we had to reboot Polaris' Nabu X 3 times so far for it to work properly (no problems on mine yet, though). Some of the features are not working, like the Twitter Connection but Facebook seems to be working fine. The apps are pretty straight forward and easy to navigate and program. I still have my doubts on adding even more triggers to my already Pavlovian-like behaviour but so far it has given me a pleasent and gamified Day 1 (Polaris isn't as amused...).